Lately, there has been a lot of illumination in my room during the wee hours of the night. No, it's not the television...or the night light (I hate the dark)...or an alarm clock. It happens to be the screen light of the iPad as I search the THREDUP app. I am just a bit addicted, even when I'm know I'm not going to purchase anything. I know, I know – intervention! I send clothes to a local consignment shop as well. They have a 60/40% split for items. I don't make tons of money from this, but it's great to get rid of unwanted items and make at least something from them. 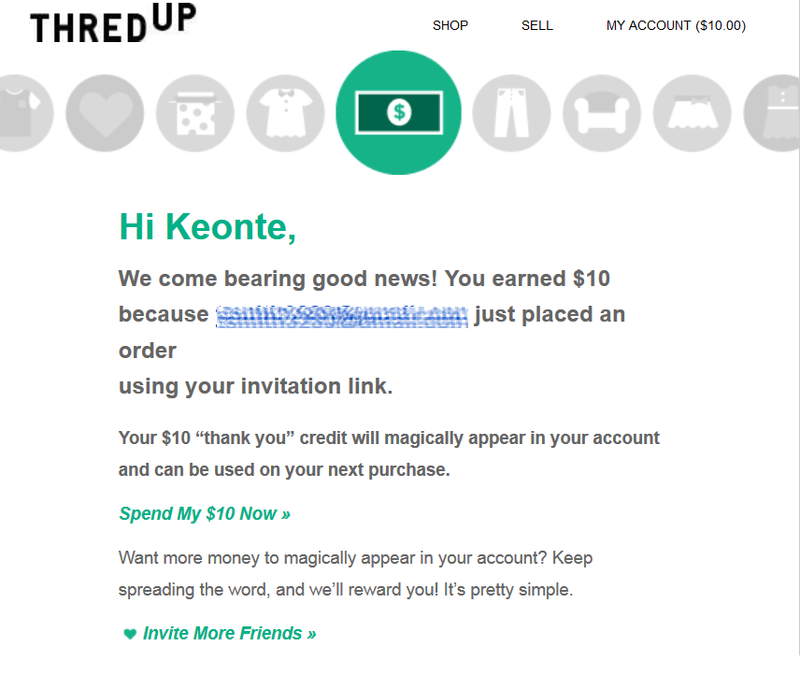 I think where THREDUP comes out more positively is the initial price they offer for your items. They give them a higher value. That can be good or bad. I want my items to sell, so I don't want them going for too much. I like that THREDUP gives you upfront pay, too. I don't have to wait for my items to sell. They estimate what they think they will make off of certain items. You can opt to have your unaccepted items sent back to you for a fee of $12.99. I often send out my referral link for others to sign up to the site. There is something in it for the both of us. If you sign up using my link (http://www.thredup.com/r/OD77L4) you will receive a $10 credit towards your purchase on the site. Once your item ships, I will also receive a $10 credit. You can begin sharing your own referral link after signing up. The credits go on your account and are deducted from the total of your purchase during checkout. You will be amazed at how much you can save or get free from this awesome sharing method. A few people come to the site discouraged because it suggests that you need to spend a certain amount to use the credit. However, the $10 comes off of your cart no matter what your total is. If you have clothes sitting in your closet and know you will probably never wear them, you should start with a clean out bag. I'm on my way over now to see what new items have been added. They update their site often. In fact, I've probably missed something fabulous while typing this post up. Don't take my word for it – try it out for yourself. 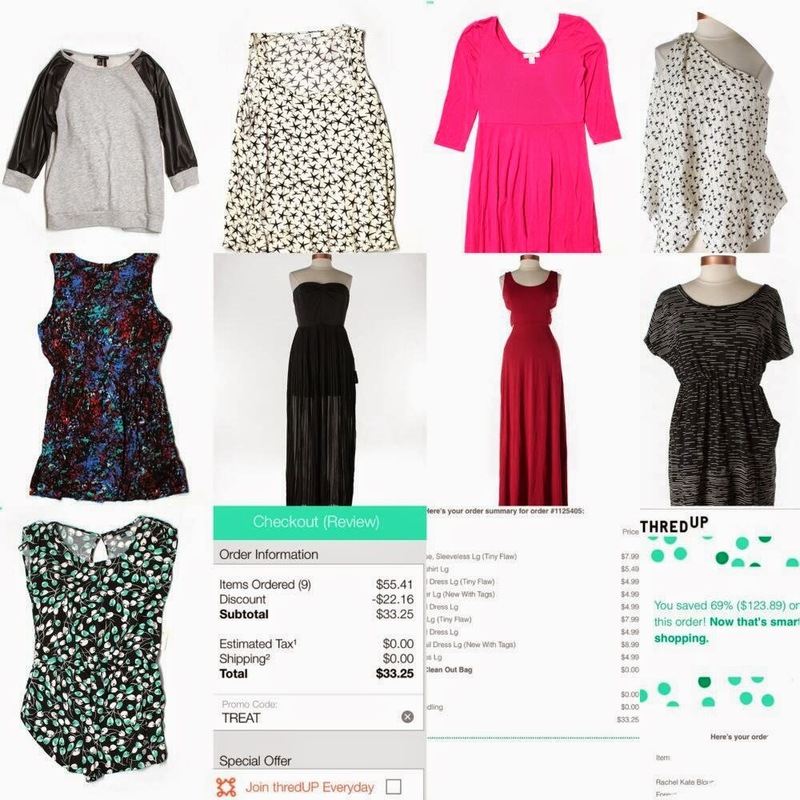 I personally prefer using the THREDUP app (android users). There are so many reasons why you should check this site out. Start with a $10 credit. I guarantee you will find something for yourself or a friend. **I would like to mention that this post IS NOT SPONSORED. I hate that I have to include this disclaimer, but it's part of the blogging world. I do participate in a lot of sponsored post opportunities. But, I have always been a sharer offline and online. When I like something, you will know.